Over night the “Man Bun” trend has exploded. Everywhere I look there is always a man who is “rocking” the new trendy bun. Personally I don’t see the point behind a man bun, why put it up when you could just cut it off? Are they looking for versatility in their style and want the option of wearing it up or down, or are they just being sloppy and are too lazy to cut it off? The new “Long Hair Don’t Care” trend has completely taken over. 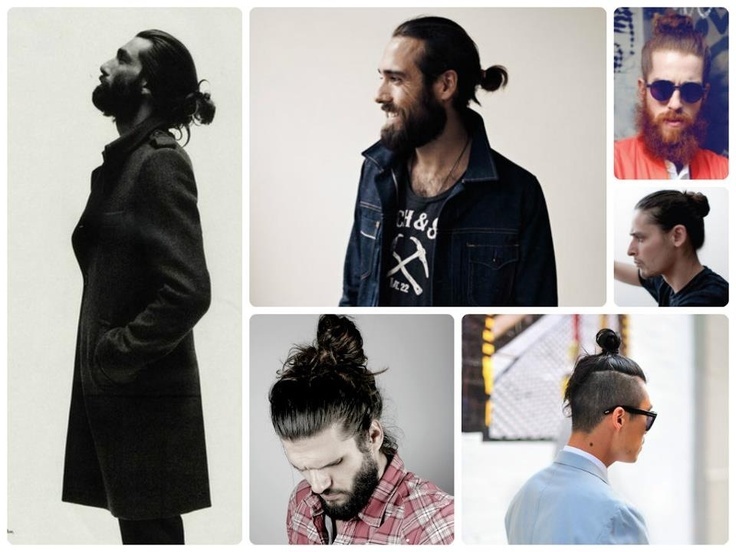 Men from all cultures and backgrounds are “wearing” the bun. It has become such a sensation that ABC News even did segment on new style called “Man Bun Hairstyle Trend is Taking over”. Many celebrities are now rocking this new look. However after watching the ABC News segment I learned that it was not just the hair style that made the “Man Bun” work, but the whole look, meaning facial hair and clothing. With all three of these key components everyday hipsters will become the Hollywood trendsetters. Many famous Celebs like, Orlando Bloom, Brad Pitt, David Beckham and many more, have taken a liking to this new appearance. Many woman are also intrigued by this new look and prefer it to the basic short hair cut. I on the other hand, no matter how many times I see it or “learn” more about it, still consider it a fashion faux pas.